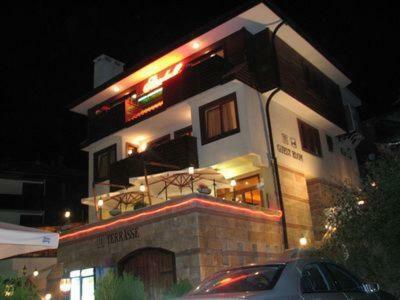 Lock in a great price for Stankoff Hotel – rated 8.8 by recent guests! Room had many plug sockets which is a bonus when you need to charge multiple gadgets/phones. 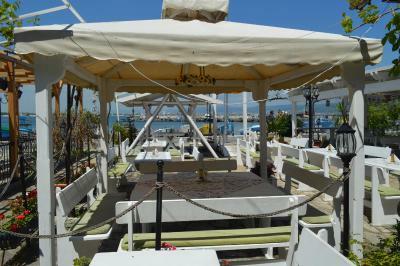 Location was xcellent for us, close to all Nessebar Old Town has to offer. 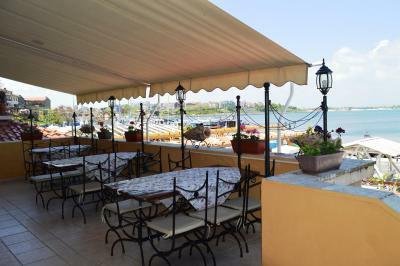 Hotel restaurant prices are very reasonable and an ideal place to sit and people watch with a nice cool beer. Arrived late at the hotel but the host was nice. The room was pretty big, the view was great. 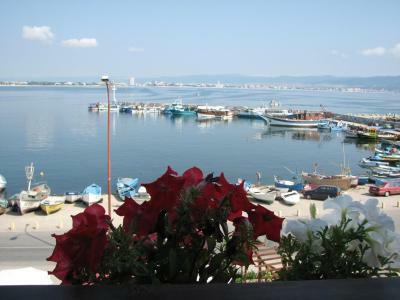 Very good value for money, right in the heart of Old Nessebar, with nice view. Very clean. The owner was kind. Excellent view. We had apartment 1A. Nice guest. 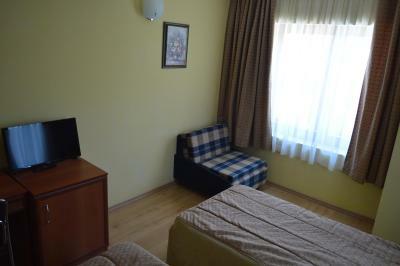 Good location near parking and Nesebar center. 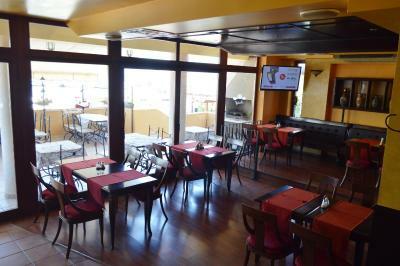 "Mexicano" restaurant from downstairs offers great value for money and has lower prices than other restaurants. 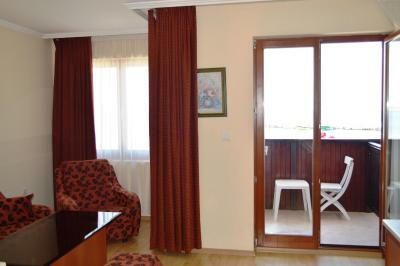 Two great rooms, with balconies overlooking the harbour. And the host was very friendly and helpful. 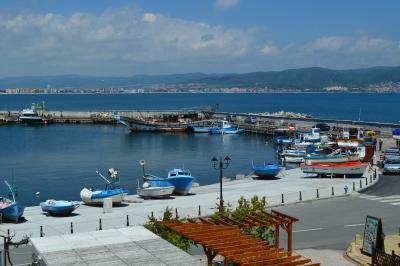 The location was excellent, harbour a few yards in front, historic centre a few yards behind. 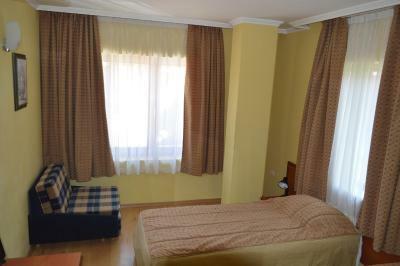 Rooms were clean and airy. Location was good. Showers excellent. Stankoff Hotel This rating is a reflection of how the property compares to the industry standard when it comes to price, facilities and services available. It's based on a self-evaluation by the property. Use this rating to help choose your stay! 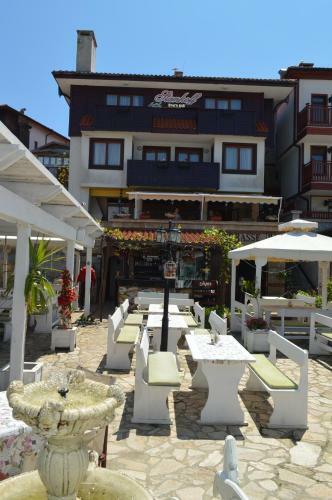 This small and cozy family-run hotel is located in the heart of the historic quarter of Nessebar, one of the oldest cities in Europe and a UNESCO World Heritage Site. 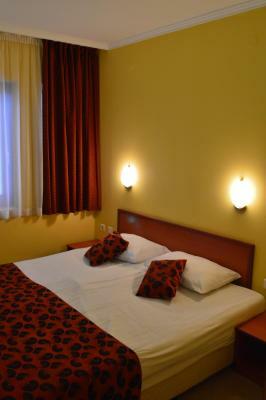 Open throughout the year, Stankoff Hotel offers a unique combination of traditional atmosphere and modern luxury. 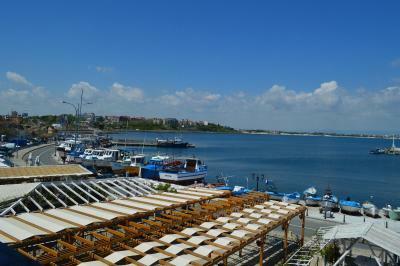 The sea is just a few steps away, and you can enjoy beautiful views of the mountains and the bay of Sunny Beach. 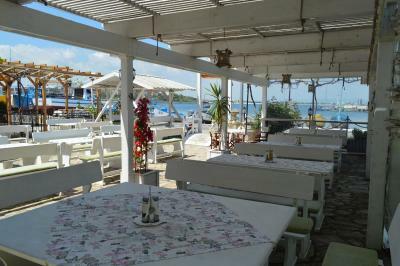 The restaurant serves a wide range of Mediterranean and international dishes, including many fish specialties. 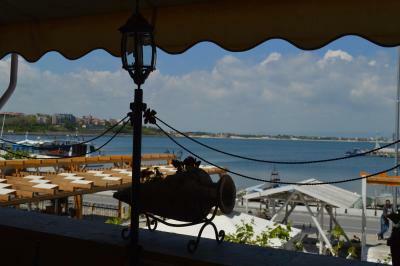 You can choose between an air-conditioned dining room, the restaurant garden, and a terrace with fine views over Nessebar and Sunny Beach. 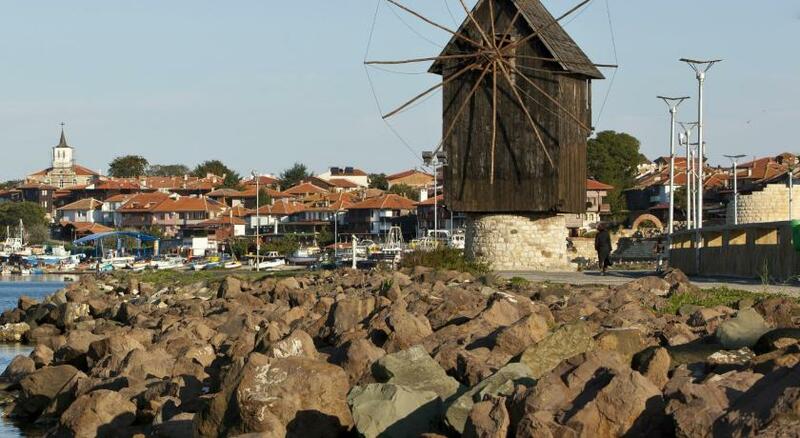 The historic quarter of Nessebar sits on a small, picturesque island, which is connected to the mainland by a narrow strip of land. It is a museum town with ancient walls, medieval churches, and a unique and romantic atmosphere. 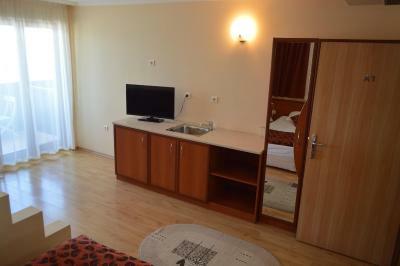 The Sunny Beach resort complex is 3 miles away, and Bourgas Airport 15.5 miles. Hotel Stankoff's staff speak English, German, French and Russian. When would you like to stay at Stankoff Hotel? No space for extra beds in this room. 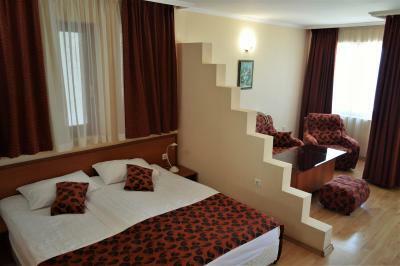 Please note that only 1 of the double rooms has a balcony. 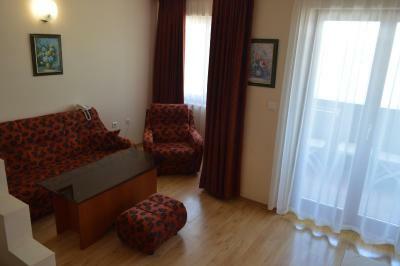 Apartments have a sofa bed which can be used as an extra bed for 2 children. House Rules Stankoff Hotel takes special requests – add in the next step! 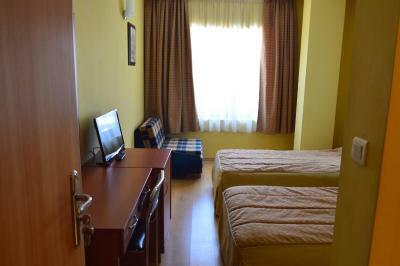 All children under 12 years are charged 40 % of the room stay per night per person for extra beds. Stankoff Hotel accepts these cards and reserves the right to temporarily hold an amount prior to arrival. Guests arriving outside check-in hours must let the property know in advance. Please inform Stankoff Hotel of your expected arrival time in advance. You can use the Special Requests box when booking, or contact the property directly using the contact details in your confirmation. Poor signal for Wifi but hey that was not a big deal. The breakfast was not the richest, but it was enough I would say and also the quality of the ingredients was good. On site breakfast was rather poor. Breakfast a little lacking in choice (didn't bother after first day). Rooms a bit noisy as you could hear other guests moving around and doors banging. The staff at the hotel really impressed us by helping us in any way they could, as we have a small baby and we needed help with the food preparation and they tried to make our experience as pleasant and easy as possible. Aside from using their kitchen to make the baby food, they even offered to buy some vegetables for us in order to prepare the baby puree. We truly recommend the hotel! 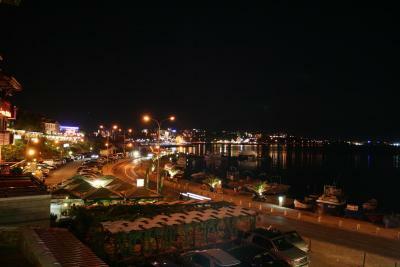 We had an apartment with a splendid view by the sea and it was in the city center as well! 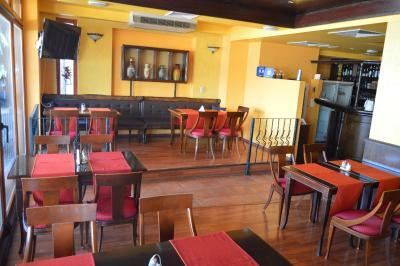 The location and the friendly attention of the owner always open and available to help. During our 4 nights stay, the towels and the bed lingery were never changed! Very annoying... Hot water runs out quickly (probably because the hotel was full). Our room had no balcony therefore it was impossible to dry the towels and the bath suits. 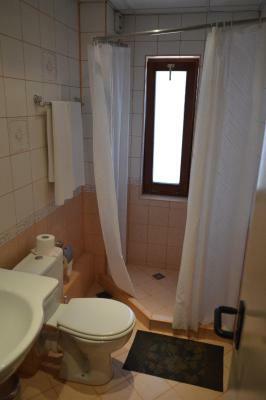 The rooms are situated at level 2 and 3 of the building, and there is no elevator. The owner is very kind and helpful. 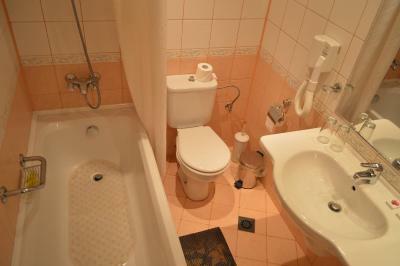 Beds and furniture are very good, bathroom is large enough, minibar was full, with many different drinks. Air conditioning is good. The room was quiet and the sea view is very pleasant. Breakfast is tasty and the coffe is good. Parking is cheep, in a place nearby. 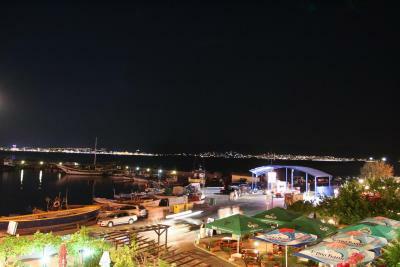 The hotel is close to the bridge, to the sea taxi port and to the shopps.